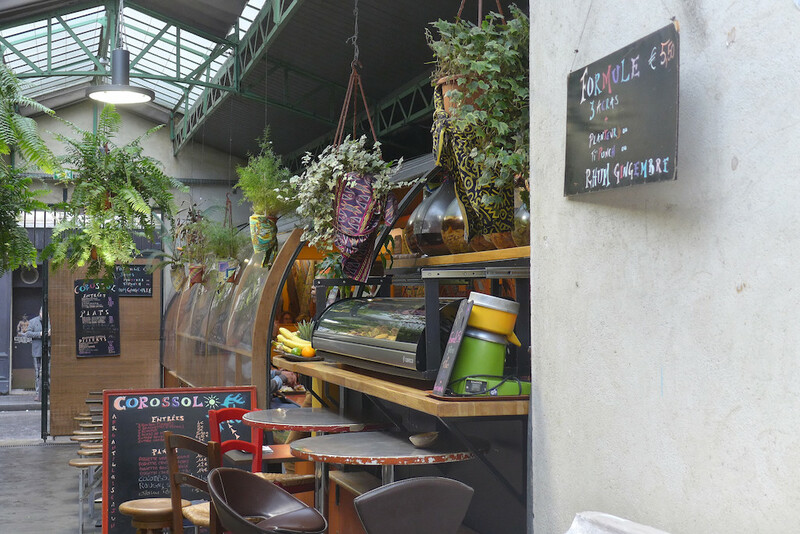 Le Marché des Enfants Rouges is one of the most unusual markets in Paris… for several reasons. First of all this is the oldest food market in the capital. 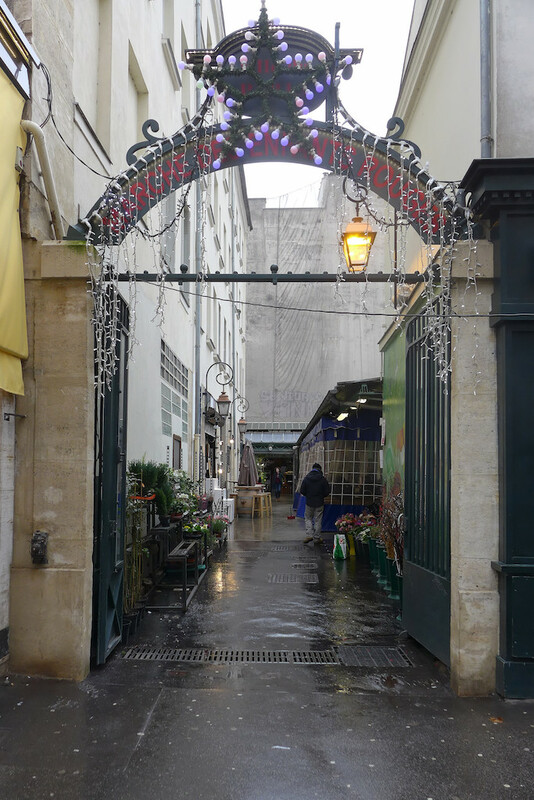 Its creation dates back to 1628 and it used to be a wooden covered market built with sixteen oak pillars and called ‘Le Marché du Marais du Temple’. At the end of 18th century it became ‘Le Marché des Enfants rouges’ referring to the eponymous orphanage located in the same area and that had just been closed. In the mid-1990s the market had almost been destroyed and turned into a car park. But the inhabitants of the Marais area and many tourist guides had mobilized to avoid its disappearance. 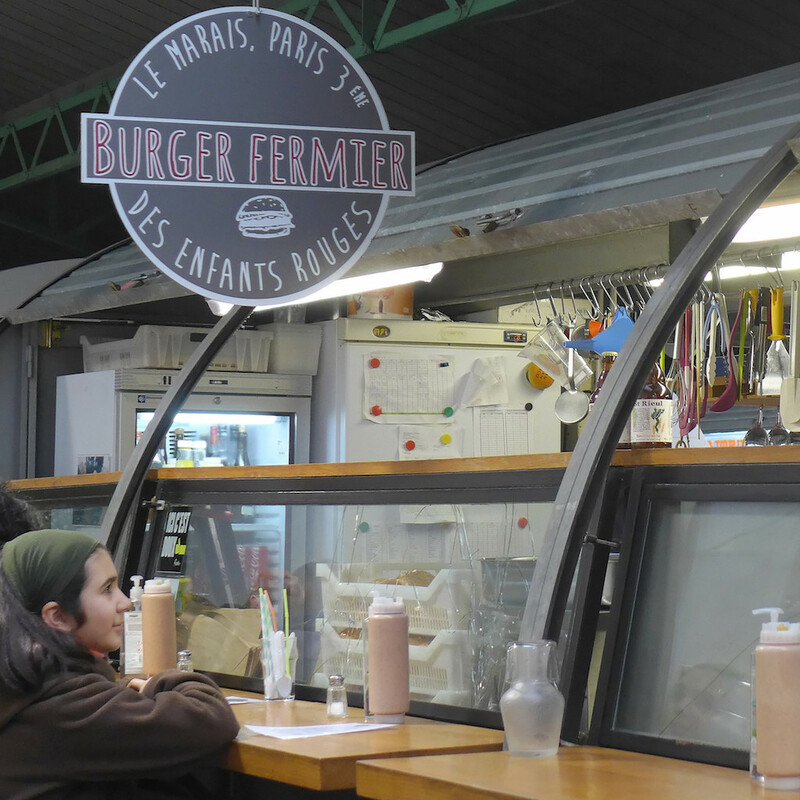 After six years of restoration ‘Le Marché des Enfants Rouges’ reopened in 2000. 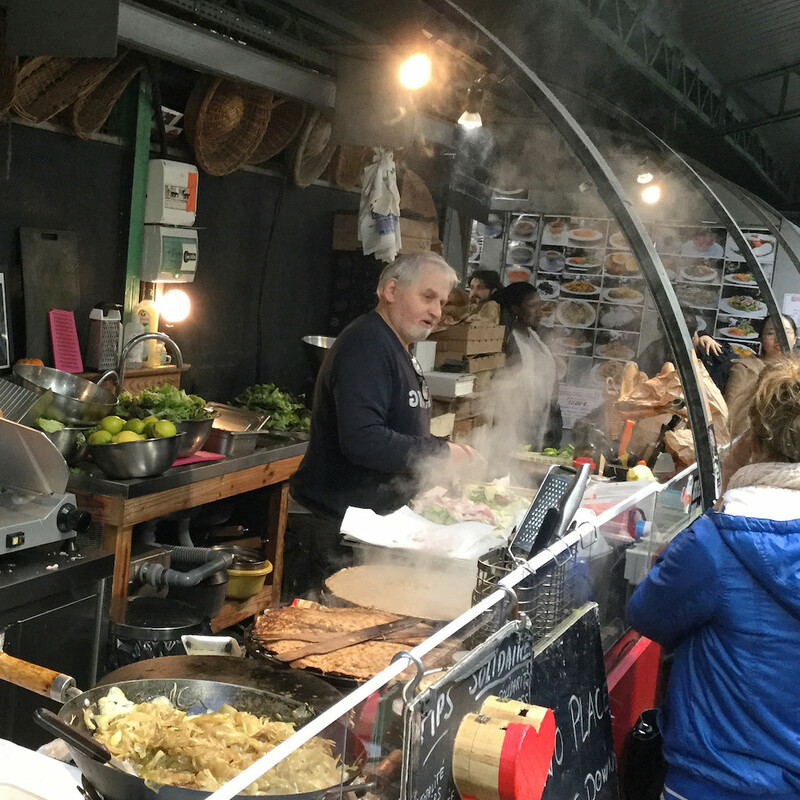 The market has kept its originality: Thanks to its numerous stands of cooking and take away food it is still rather a place where to eat than a traditional market where to buy fruit, vegetable, fish or meat as any other Parisian food market. Its atmosphere is very special and friendly; I felt as if I were in a village square, not in a food court. And although there are many tourists it remains very authentic! All the meals are cooked on the spot and at lunchtime many people -whether local, working or visiting- are queuing in front of each stand. 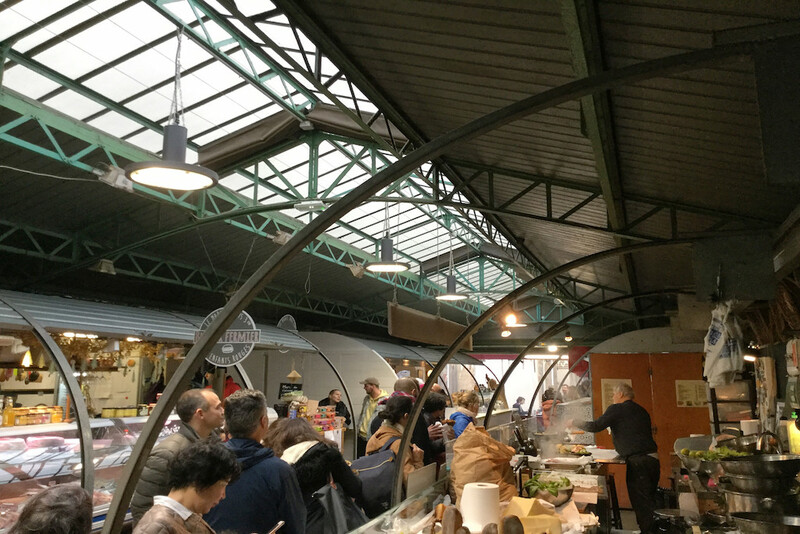 The length of the line may depend on the season, on the time (peak hour between 1 and 1.30pm on weekdays) but of course also on the popularity of each cooking stand… or of the cook himself! My favourite: Alain, for his gourmet pancakes… and his eloquence! A generous and tasty pancake stuffed with cooked onions, premium ham -rostello or san daniele- and premium cheese -comté or cantal- costs 9€. Moreover it is a true delight to attend its preparation and listen to the chef while queuing. Alain takes his time and talks a lot. So if the queue is already long and if you are in a hurry, you had better choose another meal! I can also recommend ‘Le Traiteur Marocain’ held by Ahmed: good food, very efficient service and an impressive choice of couscous and tajines, under 15€. I have been attracted by the spicy scents and the lively atmosphere of this stand, which is very popular among tourists in winter. Not forgetting the Japanese stand, Taeko, which is much appreciated for its efficiency and delicious bentos and is about to reopen after a very short closing for renovation. And if you do not feel like eating a couscous or a bento, one can also find Creole, Italian or Lebanese home-cooked meals; two stands of burgers, whether organic or not, both cooked on the spot and served with French fries (12€); and one stand of bistronomic French cooking whose menu depends on the season -oysters or capon for instance at this time of year-. 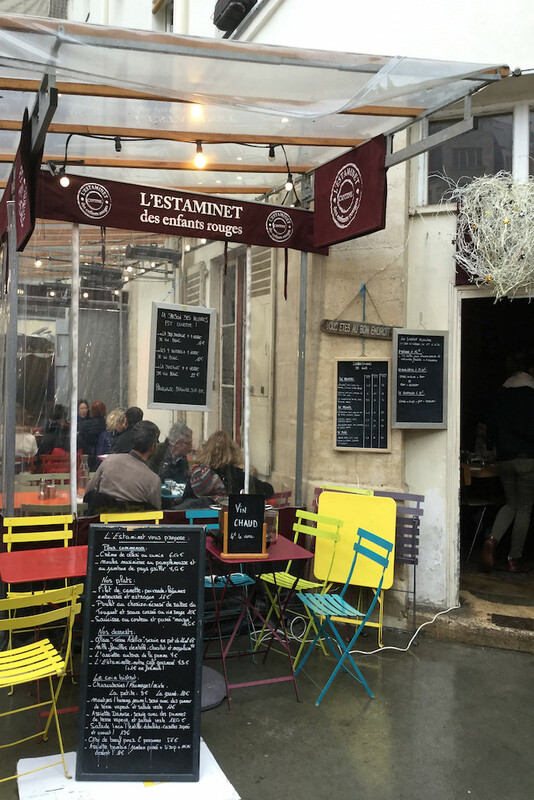 One can also choose the Estaminet des Enfants Rouges, a traditional French bistro with a small dining room and a terrace, which serves good food at reasonable prices. And if you are in the mood for cooking home you can also buy fruit and vegetable, fish or cheese. 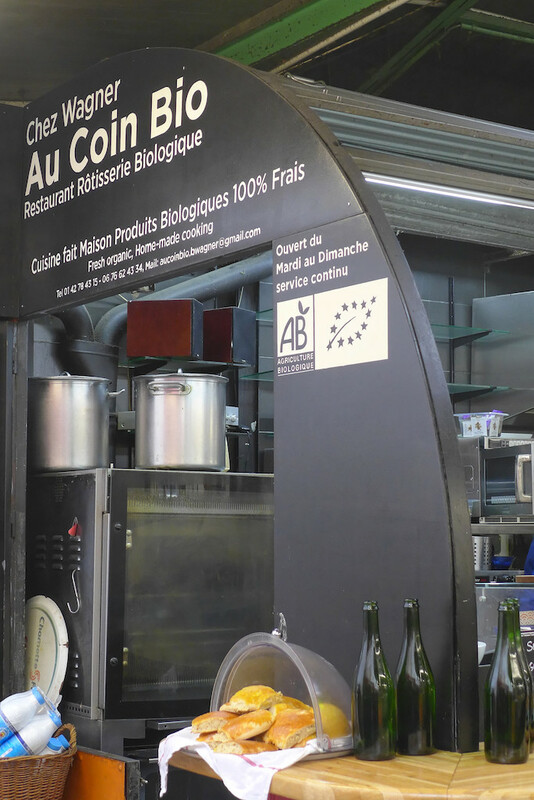 But while the cooked meals are all value for money, the fruit and vegetable are really expensive… especially the organic ones sold by the greengrocer ‘Chez Wagner’ : they look very beautiful and appetizing but cost much more than in any other Parisian food market. 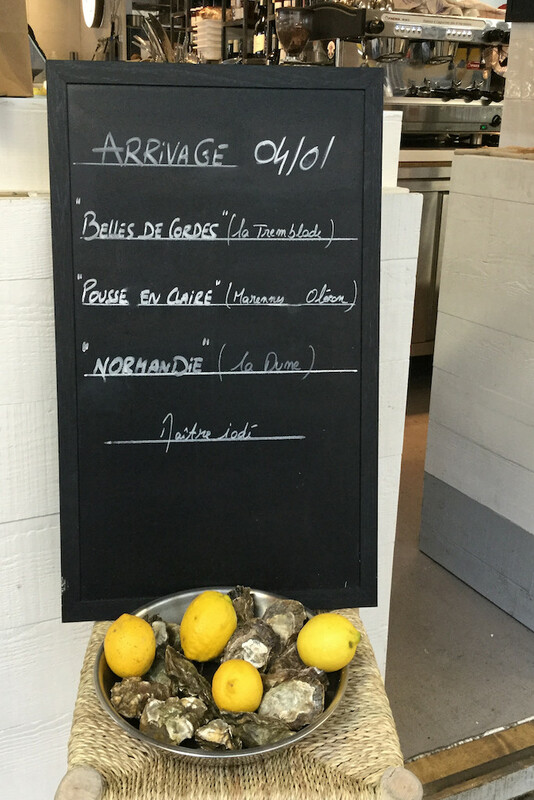 One is in the heart of the Haut Marais, a trendy Boho chic area! 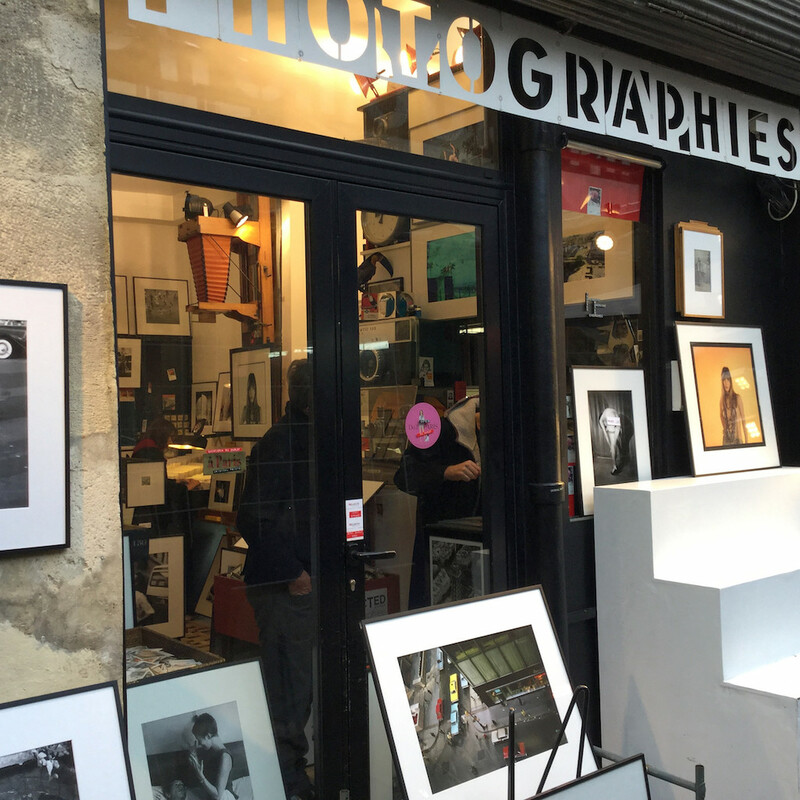 If you leave the market through the main entrance on the rue de Bretagne do not miss the little shop of photographies: Collected. They have a wide choice of beautiful ancient photographies, B&W views of Paris or portraits of Parisians, pictures of actors or taken during movie shootings, … Most of them are from unknown photographers and not too expensive. The ones which are signed or framed cost more. And even if you do not buy anything the shop itself is worth visiting. 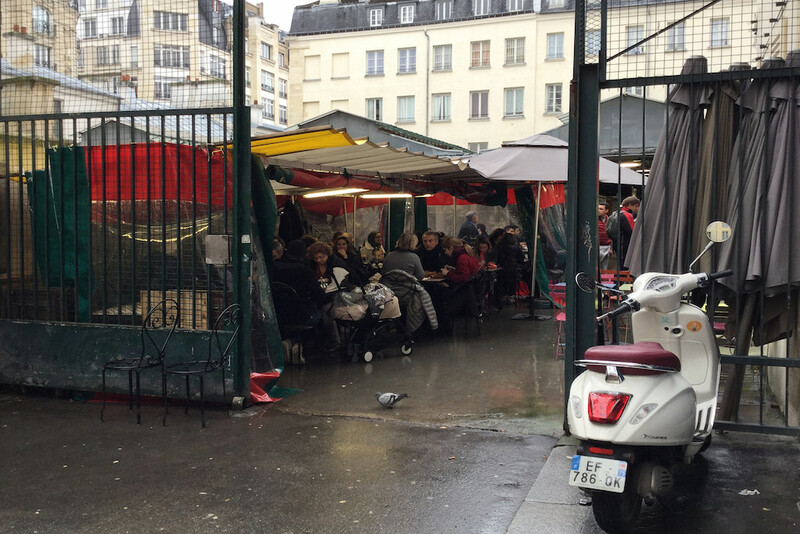 A pleasant way to end a tour at the Marché des Enfants Rouges.